(106 reviews) Write a review! Displaying 17 out of 17 Questions. The Sand wedge will have a higher loft in comparison to the Gap wedge. Therefore, the Gap wedge will fly farther compared to the Sand wedge. There is usually 4 degrees difference in loft between the two clubs. Please contact our Customer Service Department at your earliest convenience by dialing 866-843-0262 for further assistance. 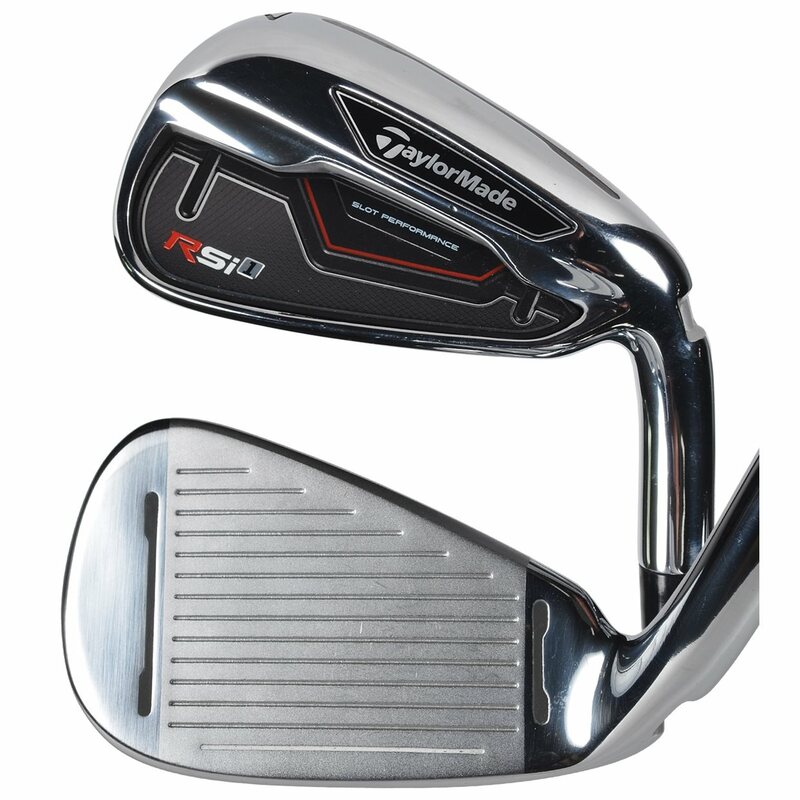 The RSi 1 iron set was introduced in 2014 according to taylormadegolf.com. I'm looking for a1/2" flat lie....are these clubs able to be bent? what conditions are the grips in as I will cut and re grip. These clubs can be bent but it is recommended that it be done by a professional club repair shop as it is rather difficult with a cast club head. As for the grips, grips are guaranteed to be in a playable condition. Good choices for an upgrade would be the Aeroburner irons, the RSI 1 irons, or the M2 irons, depending on how new you would like to go. Is the "Length" of the Product Details for irons based off a 6 iron? It is recommended to me to shorten the length by .25", is this adjustment appropriate for all manufacturer as well, considering different manufacturer have different club length? Yes, the length stated is for the 6-iron of that set. This length is only stated for that set as it could vary from model to model and manufacturer to manufacturer. How good are the grips on a "very good" conditioned club? Grips are going to be in playable condition. In the vast majority of very good condition clubs, the grips are going to be good for at least one, maybe two seasons depending on how much you play. The AW is 50 degrees. There was also a Sand and Lob wedge made for the RSI 1 irons. Have the prices for these irons just been raised? I was moments from purchasing and noticed a $50 +/- price jump. Pricing could vary from time to time. Pricing is handled by our merchandising department based on a number of factors. The greatest benefit is going to be due to the Face Slot technology. This allows for a more uniform flex of the face at impact allowing for greater forgiveness and higher launch angle. The RSI 1 is a forgiving set that would be good for a high handicap player who is planning on working to improve. While not the most forgiving true game improvement club, these are forgiving while still maintaining some of the performance characteristics desired by mid handicap players. What degree are pitching clubs? My longest wedge is 52 degrees and I want a 48 degrees pitch club. The loft of pitching wedges varies by manufacturer and model. The RSi 1 pitching wedge is 44 degrees. At this time there is not a promotion associated with the TaylorMade RSi 1 iron set. Please refer to the main webpage for the current promotions. When it says 37.5" length, are you referring to specific club? The listed length for iron sets is the 6 iron. I have been toying with the idea of switching from TP R9’s for quite some time after hitting the demo at **** a number of times. How would you compare these irons? The RSI 1 is going to be longer and more forgiving. They will also produce a straighter flight with reduced ability to work the ball. I have a set of R9 TP irons in good condition--kbs shafts and brand new golf pride cp2 grips, 5-AW. Does the trade in value function on your site give an accurate value on what I could get taken off these rsi 1s? The trade in values are flat values and do not change in regards to shafts, grips, or condition of the clubs. The value shown will be the value given. Two years ago while looking at irons, I decided that my Nike Slingshot SS4d set was still pretty good, so I didn't buy any new. THIS year I bought these RSI1 clubs. 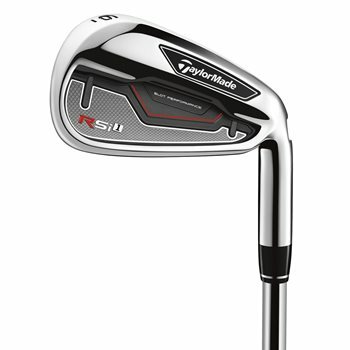 These of course arent TaylorMade's latest offering, with the PSI and the M series. But those irons keep alot of the technology from the RSI1. For the average player these clubs will improve your game. Mis hits do indeed go straighter. And solid hits feel good, sound like a nut cracking, and they travel very well. I have noticed I have a higher trajectory with these clubs, as well as more distance, and I am often backing the ball up on the greens. You may not be able to shape shots with these clubs- but that's beyond my skill anyway. I have hit over 30 rounds with these clubs, (without damage) and I am completely satisfied with their performance. Get these while you still can. (May I recommend head covers for your irons! )ALSO- on the downside- these clubs cannot have the lie adjusted at fitting- the brittle hosel prevents that, so I'm told. TM won't guarantee the club or bend it for you. Luckily at average height and arm length- these suit me fine. I recently purchased a used value set of rsi 1 irons (5 - AW). The condition of the irons were in my opinion very good. 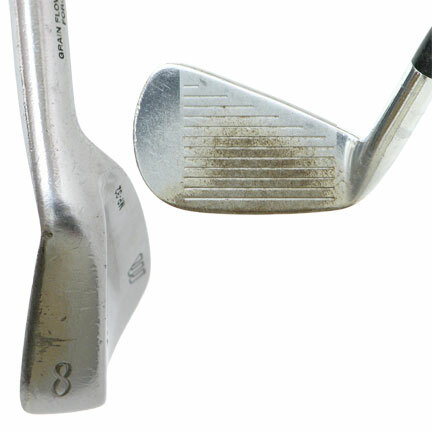 The 9 iron and pitching wedge were the only irons to have any marks. The marks were minor scratches to the bottom of the club head and face. My first trip to the range was just "fun". The ball seems to jump off the ground with better than average distance. Ball flight is straight even with a toe miss hit. Very pleased with the play and feel and condition of the rsi 1 irons. Thank you. These irons do what they are supposed to do. They launch high and go long. The issue for me was that they were not the most consistent and they lacked feedback on mishits. With that said, they don't claim to be anything other than long, and they certainly are that. Got these irons in Very Good condition and I am very happy with them. They hit much longer than my previous irons and have a very forgiving sweet spot, even if your a little off, the distance will not alter much as compared to some other irons ive used. so essentially i am hitting my new PW about as far as i hit my 8 iron on my last set of clubs. TaylorMade’s latest innovation is evident in their advanced face design in the RSi 1 iron. The face of this golf club is the thinnest they’ve ever produced. The thin face allows for a deep undercut and inverted cone technology. These two advancements are proven winners, found in previous iron sets, which combine for maximum ball speed off the face, leading to more distance. 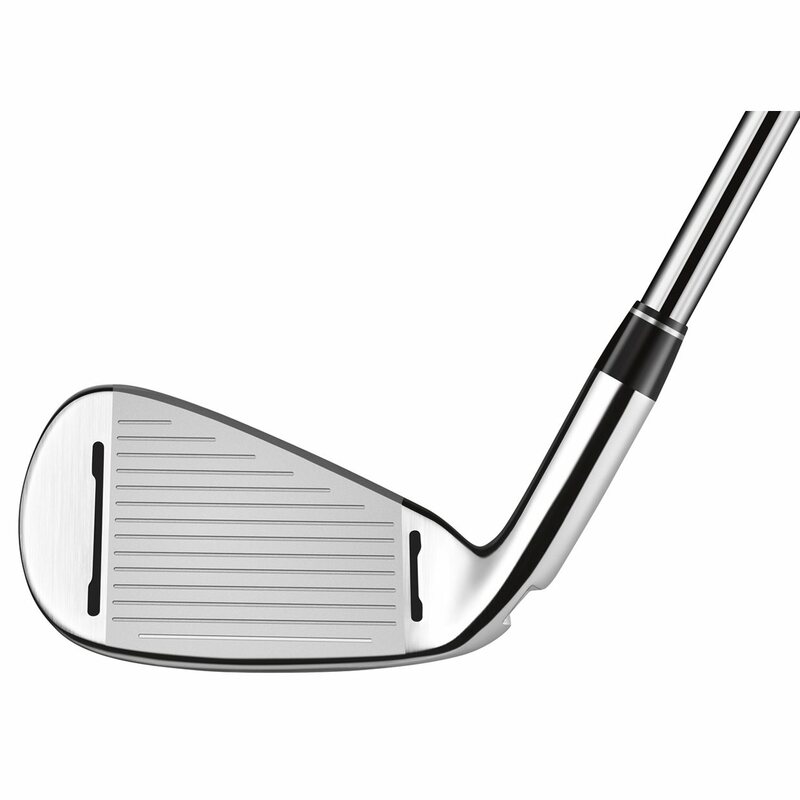 The iron also features a new face slot that is located near the heel and toe of the club face. These slots provide uniform flexion across the entire face while maintaining ball speed on off-center hits, so no distance is lost. TaylorMade’s RSi 1 iron set features a progressive slot technology, where different slots are precisely placed on individual irons to achieve maximum performance and playability. The three through seven iron have a speed pocket with thruslot technology, and the three through eight iron have face slots. The TaylorMade RSi 1 is available in 3-PW, with additional wedges in custom iron sets. 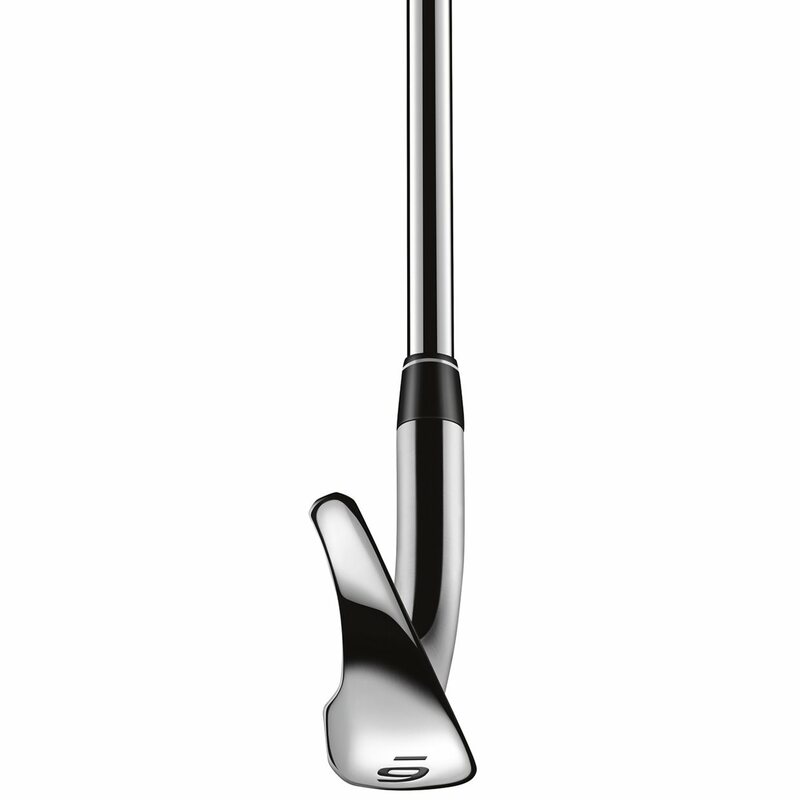 The Reax 90 steel shaft is the stock option in the irons. This is a new shaft from True Temper that helps optimize ball flight to achieve ultimate distance and definitive performance.